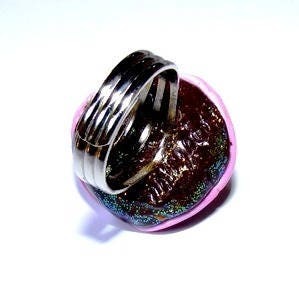 Handmade polymer clay cabochon ring handmade glassifié oven. Unique creation signed DollyDoo. 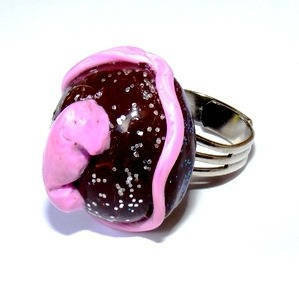 Color: Pink/Chocolate (Fimo) and silver glitter.